While the Y-wing itself doesn't have the size discrepancies of other fighters, it's still interesting to look at its evolution. Initially, the original Y-wing (BTL-A4) was a single-seat bomber left over from the Republic era. 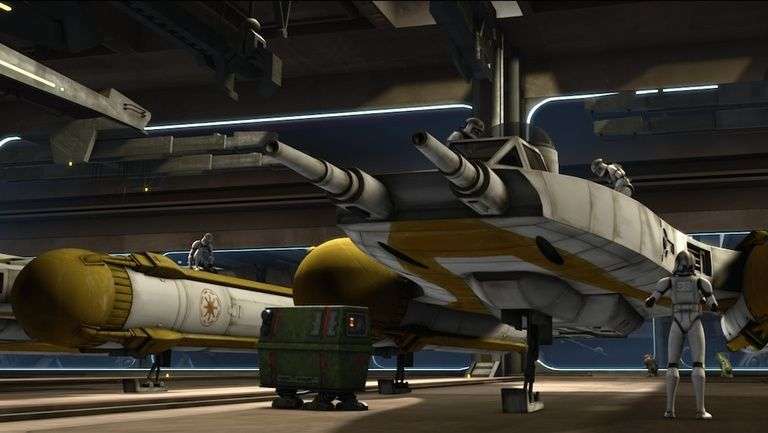 When Clone Wars aired, they created a new Republic Y-wing called the BTL-B. 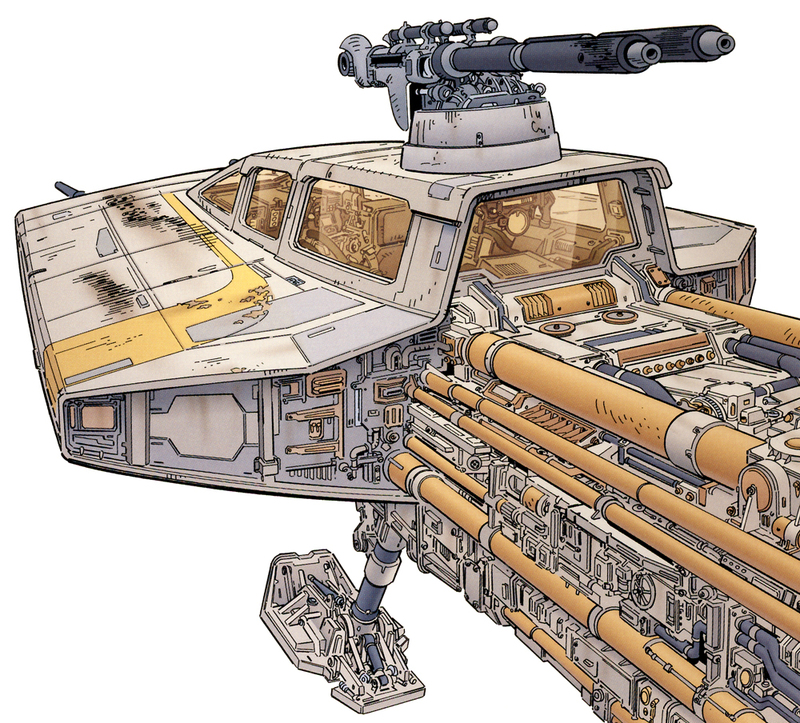 This version was longer, more armored, and featured a dedicated gunner. Republic commissions Koensayr to build a new 23.4 meter two-seat bomber, the BTL-A4 Y-wing. When the Empire comes into power, Koensayr sells remaining Y-wings to planetary defense markets. These forces remove most of the armor & engine nacelle extensions reducing the length to 16.24 meters. Also, most install ion cannons to replace the bubble turret. The Empire reclaims the Y-wings to limit planetary independence (and to prevent Rebel use). During reclamation, the Empire removes valuable systems like hyperdrives. Rebel teams steal remaining Y-wings and reconvert them. Due to a lack of pilots, the rebels redesign the cockpit for single-pilot use. Technicians then remove the back of the cockpit/canopy for better visibility, as well as the final maintenance panels. Finally, several have their main laser cannons shortened and/or ion cannons removed. 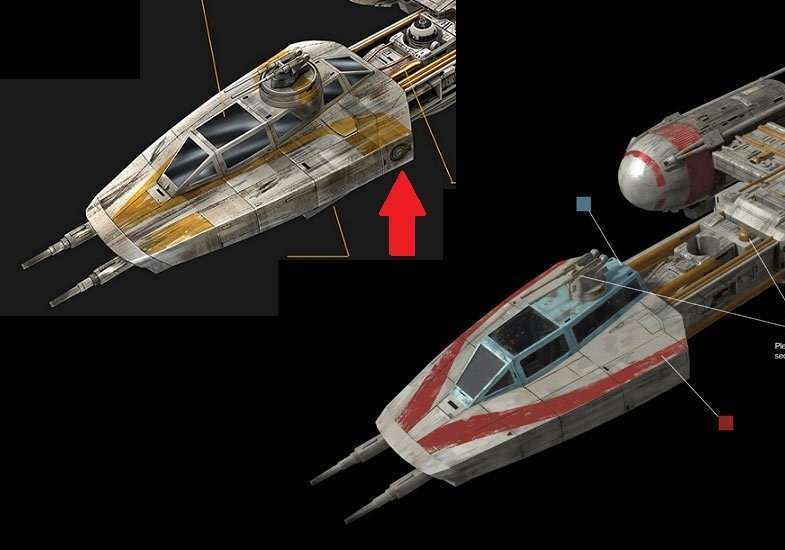 Now, the only real discrepancy with the Y-wing relates to the length of its laser cannons. Some models, including the full-scale versions, had large cannons that were almost as long as the canopy. We also see those cannons portrayed in the Rebels and Clone Wars shows, as well as in Rogue One. 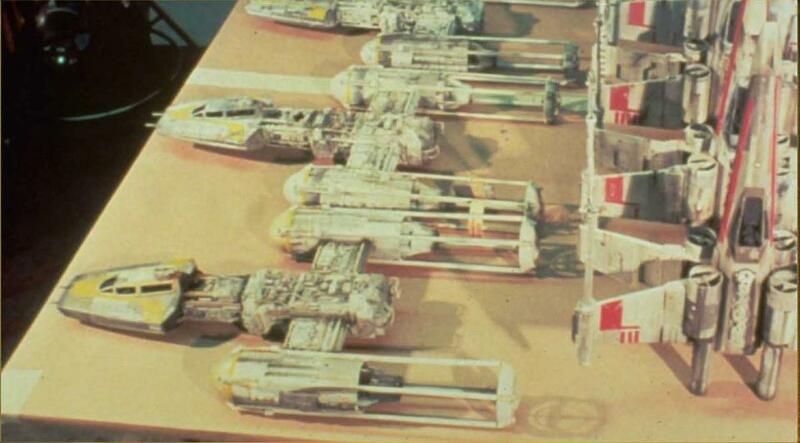 However in the original trilogy, we see most Y-wing with shorter, smaller cannons. Of course this is all due to different models used for filming. But, I believe this can account for some size differences. 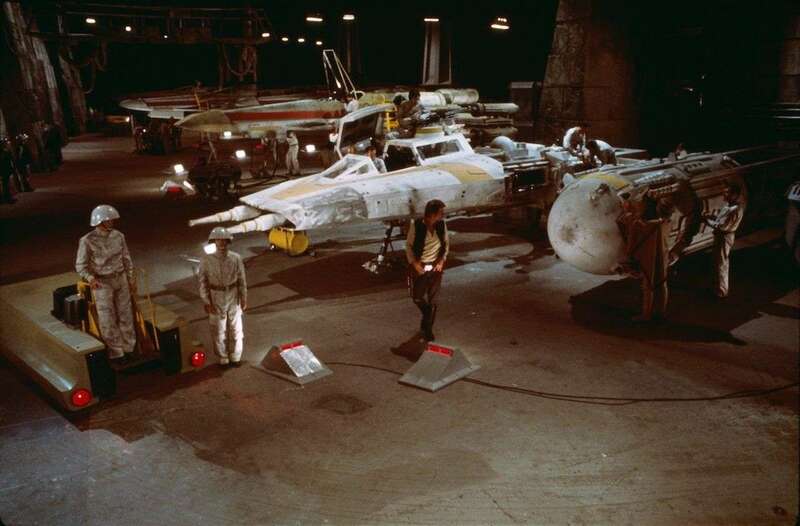 Originally, sources listed Y-wings at 16 meters, but later changed that length to 16.24 meters. I wonder if the 16 meters versions only referred to the Y-wings with shorter cannons? For those curious, the Fine Molds kit has the shorter cannons, while both Bandai kits sport the longer cannons. Moreover, at 16.24 meters, the Bandai kit would be 1/72 scale. 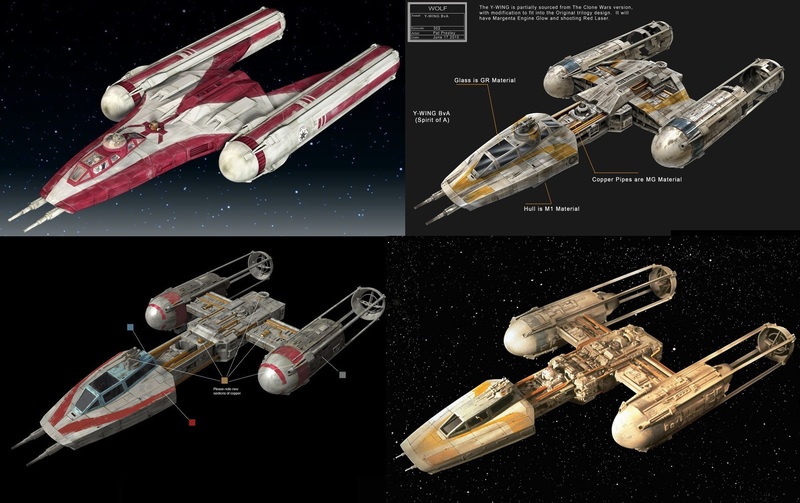 Modeler Magic has a nice rundown of the different Yavin Y-wings and comparisons of the 1/72 kits.